The basic idea of a circular economy sounds simple: Instead of disposing of products at the end of their useful life, the value of the raw materials contained in them should be preserved as much as possible. In order to be able to implement this idea, one needs information about the material composition of the products, the expenditure on recovery, the demand for recycling materials, etc. which however are lost in the current linear system. Theoretically it would be possible to collect such data, but the amount of data would be gigantic. The resulting transaction costs would ultimately exceed the economic benefits. Against this background closing material loops often fails because of an information problem. This is exactly where digitalization begins. Due to the technical development of computer chips, computer performance and data communication, we are nowadays able to process more and more information and therefore need less and less time. The term "digitization" encompasses completely different developments, each of which has the potential to contribute to a radical improvement in the recycling of raw materials. In many sectors, the necessary technologies have already been successfully tested; however, the closed-loop economy is lagging far behind, even though the potential for reducing environmental pollution is nowhere higher and digital readiness is not estimated to be anywhere lower. In order for the circular economy to become a truly "green" project, the use of raw materials required for this must not be overlooked. It still requires a lot of intelligent innovations and new framework conditions in order to fully exploit the potential of the circular economy 4.0. The topic of circular economy is high on the political agenda, not only because the basic idea sounds so impressively simple: Instead of disposing of products at the end of their useful life, the value of the raw materials contained in them should be optimally preserved. However, this raises a number of complex questions: What substances does a product actually consist of? How exactly have they been installed, how much effort does it take to recover them; is the product e.g. screwed or glued? What is the actual demand for recycled raw materials, which would determine the specific value? All this information is practically lost in our current "linear" world as soon as the finished products leave the factory. For this, Flatz et al. has coined the term "Wall overthrow principle "companies throw products onto the market; what happens to them afterwards can no longer be traced by anyone. It is alarming, however, that even manufacturers are often unable to answer the above-mentioned questions. The pre-supply chain for electronic products includes, for example, at least seven stages from the raw material to the finished product, in which the manufacturers of individual components partly change the material composition of their chips depending on the daily price or printed circuit boards. Theoretically, all this data could be collected and passed along the chain, so that a recycler would know exactly what kind of product he is dealing with. However, the amount of data involved would be gigantic: information on each of the approximately 200 million phones sold annually, but also on the 1 billion Cola bottles (per day!) would have to be managed. The collection, protection, distribution, etc. of this data would cause gigantic "transaction costs" that would ultimately exceed the economic benefits of an improved circularity. Last but not least, the circular economy fails because of an information problem. Ã¯ÂÂ The idea of products as "Cyber Physical Systems" makes it possible to integrate information on the entire individual production process of a product. This information could then also be used for remanufacturing or recycling and at the same time include environmentally relevant information such as material composition or footprints. In this way, information asymmetries are effectively reduced. Ã¯ÂÂ Sensoring allows real-time data collection and generation in the industry 4.0. The exact location of waste generation, its exact material composition, etc. can be recorded quickly and precisely ("fast data") and passed on to other companies that plan their production processes accordingly. Data analytics applications ("big data") can then provide and project information on further use, suitable logistics solutions, etc. Ã¯ÂÂ Matching the supply and demand for waste and secondary raw materials can be revolutionized by Internet-based solutions, such as those already used in the distribution of products. A future automated market and logistics platform (called "Uber and Ebay for waste") can reduce search and transaction costs; moreover, economies of scale can be achieved more easily, as there is greater clarity about material volumes. Ã¯ÂÂ In such an intelligent, integrated system, it would even be conceivable that reusable products automatically generate their own markets via the Internet of Things by capitalizing themselves on such platforms, based on information about their composition and possible applications. Already today recycled materials are partly cheaper than primary materials, which could be increased even further. Recyclability then also becomes a technical competitive advantage. Ã¯ÂÂ Block chain applications, on which e.g. the virtual currency Bitcoin is already based today, could transfer information on the amount of waste generated, for example at individual operating locations in an anonymous and encrypted form, without competitors being able to draw conclusions about own production technologies. Although much of this may still sound like science fiction, the necessary technologies already exist and are successfully tested in many sectors; however, the circular economy is lagging far behind. A study commissioned by the Federal Environment Ministry has examined the status of digitization in the environmental lead markets: According to this study, the potential for reducing the environmental impact through digitization is nowhere higher than in the circular economy, and at the same time "digital readiness" is nowhere estimated to be lower. While Germany still seems to rest on its excellent recycling rates (which primarily show that we dispose of waste well, but not whether waste is used as a resource), the interest in a digital circular economy is gaining more and more attention elsewhere. A survey conducted by the International Solid Waste Association (ISWA) shows that 97% of respondents believe that digitization will influence their business model; at the same time, more than two thirds have indicated that they know little or even too little about this topic (Figure 1). 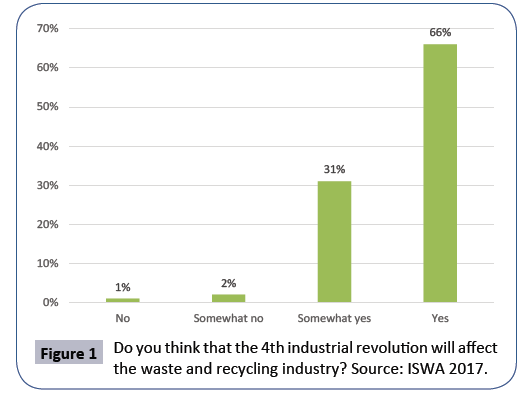 Figure 1: Do you think that the 4th industrial revolution will affect the waste and recycling industry? Source: ISWA 2017. In this extremely dynamically developing market, the time is ripe for innovative start-up companies that - with an Internet background - are often lateral entrants into waste management. Unencumbered by decades of debates about incremental technology optimization, market share, etc., they are trying to rethink waste management - based on the question of what opportunities digitization offers. For example, the research programme Climate KIC, "Europe's largest public-private innovation partnership focused on climate change", has given rise to the Hamburg start-up company Pendula, which offers companies the opportunity to check filling levels of their waste containers in real time, to organise the collection of full containers online via a recycling app and, on this basis, to develop detailed statistics and evaluations. These provide the basis for optimizing material flows and thus saving costs. Founded in 2015, start up’s the app enables companies and recyclers to organize, track and evaluate their disposal and recycling processes. Ideally, the entire waste disposal chain is then digitized and automatized - at present, the company is still recording the container levels manually in the app; in the future this will be done by networked sensors and the data will be forwarded directly to the disposal company. By using real-time data and analysis not only the administrative effort, but also the costs, emissions and workload can be reduced. The overarching goal is to promote the recycling of valuable material flows by collecting and sharing information on secondary raw materials and making their logistics and processing simple and efficient. In particular, the logistics of waste collection seems to have considerable potential: In the "analogue" reality, too often every tonne is approached individually and completely independent of its filling level. This makes collection the most important cost factor for many waste streams, which prevents the separate collection of waste and thus its efficient return to production processes. Against this background, the city of Rotterdam has conducted a pilot experiment in which 250 underground containers were equipped with sensors. These sensors transmit information on filling levels to a central computer unit, which then analyses the optimal planning and route for emptying the containers. The Finnish company Enevo supported the project. The function of such a system is shown exemplified in the following figure - instead of randomly approaching every ton, only the full tonnes are emptied (Figure 2). Figure 2: Example for sensor-based route planning. Source: Enevo. 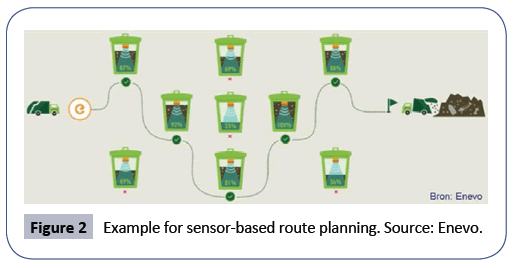 The aim of the pilot project was to analyse the extent to which the use of sensors and the implementation of dynamic route planning can make urban waste management more cost-effective. Static route planning, in which only partially filled containers and overflowing containers were emptied, served as a comparison; in particular, the last one was accompanied by increased littering in the container environment and, accordingly, growing discontent among citizens. In addition to cost optimization, such positive side effects (such as reduced odour and noise pollution) should not be underestimated . By continuously improving the used algorithm, the number of collection days was reduced from five to three. The containers emptied were then filled to an average of over 75%. Approximately 25% of the kilometres previously driven could be avoided, with corresponding savings in diesel consumption (123,500 l/year) and CO2 emissions (321 t/year). From an environmental point of view, however, such a digitized circular economy will not be available for free: already today ICT technology accounts for about 9% of electricity consumption in Germany (own calculations based and  - each additional radio sensor, each data transmission would cause this consumption to increase further. In particular from a perspective digitization will present new challenges: The chips and printed circuit boards used everywhere have a rapidly increasing share, especially of critical raw materials, such as indium for all flat screens or tantalum. For example, the use of RFID chips transporting important information for the recycling of products has been under discussion for some years now . However, if used on a massive scale, a quarter of the total silver production would be required to produce these chips. At the same time, the study "Impacts of mass RFID application on disposal and recycling systems" of the University of Dortmund Gliesche M et al. showed, that e.g. the broad use of such chips has a negative impact on glass, aluminium and plastic recycling, as well as on thermal recycling of residual waste, where it could lead to exceeding the respective permissible limit values for copper, silver and chlorides during incineration. The digitization of the circular economy could also lead to gigantic material losses if all the raw materials required for this could not be managed in a circle - of which reality is still a long way off . The following illustration shows that especially for the electronics sector the largest share is not yet recovered, but rather in tiny quantities and - experts speak of "dissipatively distributed" - end as incineration slag or pollution in recycled steel. And even if all raw materials could be optimally captured, there are still no technologies available for many raw materials that could be recycle them appropriately (Figure 3). Figure 3: Estimated end-of-life recycling rates for precious metals for the main end use sectors (global averages, percent, functional recycling only). Source: UNEP (2015). It is therefore foreseeable that digitization - like every other aspect of our lives - will turn waste management completely upside down. In the USA, the start-up company Rubicon, which was founded just a few years ago, was estimated at over 1 billion dollars - the inventors in Silicon Valley and elsewhere are increasingly recognizing their chance of conquering a part of the market that generates annual sales of more than 50 billion euros in Germany alone. This development opens up previously unimaginable possibilities for managing raw materials in closed-loop cycles and thus reducing the need for primary materials. But in order for the digital circular economy to become a truly "green" project, the use of raw materials required for this must not be overlooked. There is still significant need for intelligent innovation and new framework conditions, e.g. in the future it will make no sense at all to measure recycling targets for electronic devices at weight - instead, the recovery of the raw materials contained in them must be stipulated. All this will only be possible if we move from the classic recycling of mass waste streams to a much more productfocused recycling process  - for which we must simultaneously "keep" information on ingredients and processing techniques from the very first processing step across all users to recycling. Tracking this may still be inconceivable today, but the task is reminiscent of Black Friday during the global economic crisis of 1929. At that time, the risk was recognised when cash flows were wandering around in the economy without any attention being paid to it. Just like the birth of national accounts, which make it possible to trace the origin and whereabouts of every euro, this is no less important for our raw materials in the future [9-11]. Flatz A (1996) From waste management to material flow management. Organizational approaches based on the example of electrotechnical products. Signum, Vienna. Wilts H, Berg H (2017) Digital Circular Economy: The digital transformation as a pioneer of resource-saving material cycles. Inbrief 4/2107, Wuppertal Institute for Climate, Environment, Energy. Bastein T (2017) ICT-Based Waste and Resource Management. Recreate D4.4 Evidence-Based Narratives: Materials and Waste Management in a Circular City. Fraunhofer IZM and Borderstep Institute (2009) Development of the ICT-related Electricity Demand in Germany. Final Report. Study commissioned by the Federal Ministry of Economics and Energy. Urban AI, Halm G (2009) With RFID for the innovative circular economy. Series of the Department of Waste Engineering, Institute of Water, Waste, Environment, University of Kassel. 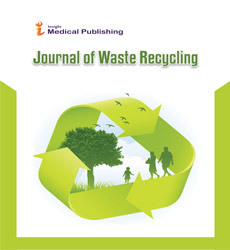 Gliesche M and Helmigh M (2007) Impact of an RFID mass deployment on disposal and recycling systems. Final report on the research project. Study of the Department of Logistics of the University of Dortmund on behalf of the BMBF. Resource Commission at the Federal Environment Agency KRU (2017) Product labellingcentre for promoting the resource efficiency and recyclability of products. Position of the Resource Commission at the Federal Environment Agency. UNEP (2013) Metal Recycling: Opportunities, Limits, Infrastructure, A Report of the Working Group on the Global Metal Flows to the International. Reuter MA, Hudson C, Van Schaik A, Heiskanen K, Meskers C, Hageluken C.Resource Panel.